Ever wanted to know how those Pinterest women create those OUT OF CONTROL nail polish designs? 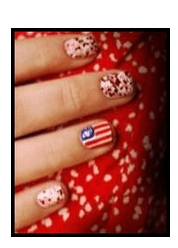 Well, I have two just perfect for the Fourth of July thanks to ORLY! 1. Paint 2 coats of White Out ($8.50) on all nails with the exception of your thumb. 2. Paint 2 coats of In the Navy ($8.50) on your thumb. 3. Beginning at your pointer finger, use Fiery Red ($8.50) to create the lines going towards the nail tip. Do this step on each nail working towards your pinky. 4. Using Platinum Glitter ($5.00), create 3 stars on the thumb. 5. Once all layers have dried, seal with Glosser ($10). 1. Apply 2 coats of Haute Red ($8.50) to all nails with the exception of the ring finger as this will be your fireworks accent nail. 2. Apply 1 coat of Spazmatic ($10) on top of the Haute Red. 3. Paint 2 coats of Whiteout onto your ring finger. 4. Once dry, begin by drawing half moon shaped lines using Fiery Red to create the firework effect following the pattern in the image. 5. After the Fiery Red has dried, create the same pattern using True Blue ($8.50). 6. Add in Platinum Glitter on top of the fireworks to create a shimmering effect. 7. Once all layers are completely dry, finish with Glosser. 1. Apply 2 coats of White Out as the base color. 2. Apply 1 coat of Rockets Red Glare to all fingers except the ring finger. 3. 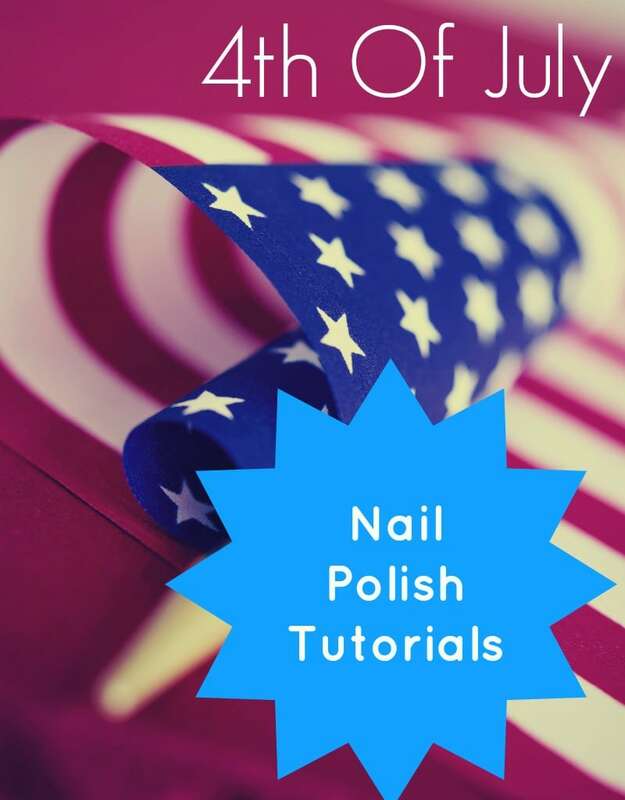 Using your ring finger as your accent nail, use True Blue and paint along the cuticle to create the outline of the blue portion of the flag. Fill in the outline. 4. Beginning at the cuticle, use Fiery Red to create the lines going towards the nail tip. 5. Once you have let Step 3&4 dry completely, use Platinum Glitter over the True Blue to create a shimmering star effect. 6. After all layers have dried completely, finish the look using Glosser Topcoat.